We know that you hear about the 3000 mile oil change everywhere. But it is so important to get your oil changed at least every 7500 miles. When a vehicle runs beyond the 7500 miles, you let the oil sit and it starts turning into Sludge and damage your BMW or Mercedes. Don’t bring your BMW or Mercedes just anywhere for an oil change, it does require a specialist that knows exactly what type of oil and filter is needed for your BMW. Call us today @ 949-364-3636 to schedule your appointment. We know the auto makers are promoting extended oil change intervals. It looks good on paper, but in the long run it is causing alot of problems. 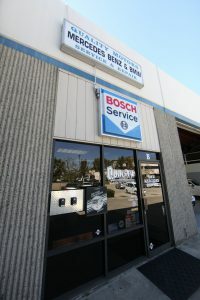 Quality Motors strongly suggests synthetic oil changes for all 1999 and later Bmw / Mini and Mercedes-Benz vehicles between 5,000 and 7,500 miles. Don’t let sludge damage your engine! Don’t take your car to a “quicky lube” for an oil change. Bring it to the specialists at Quality Motors. In most cases we can perform the oil change faster and for less money than a “quicky lube”. The service will be performed by a trained professional using the proper lubricants, fluids and filters.